These important trends have triggered the mainstream adoption of graph technology. The Cypher language debuted with the release of Neo4j 2.0 in 2014. Its introduction coincided with a significant spike in the popularity of graph databases, which has continued to soar to this day. Forrester Research estimates that one in four enterprises will be using graph database technology by 2017, and Gartner reports 70% of leading companies will pilot a graph database project of some significant kind by 2018. To fully embrace the graph revolution, CIOs require that graph technologies adhere to industry standards. With the rapid adoption of graph technology, the time has come to establish and evolve an open-standard query language for graph databases. 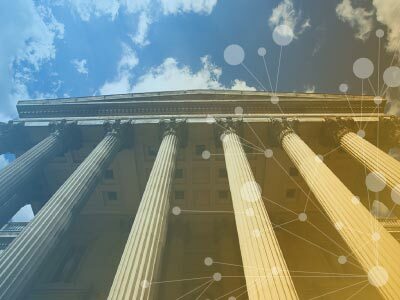 Just as IBM and Oracle led the effort to make SQL the standard relational query language thirty years ago, Neo4j started the openCypher Project in 2015 to create the industry-standard language for querying graph databases. The openCypher Project now has the active support of industry leaders that include Oracle, SAP, Neo4j, Databricks (the company behind Apache Spark), Tableau, Structr and a host of others. 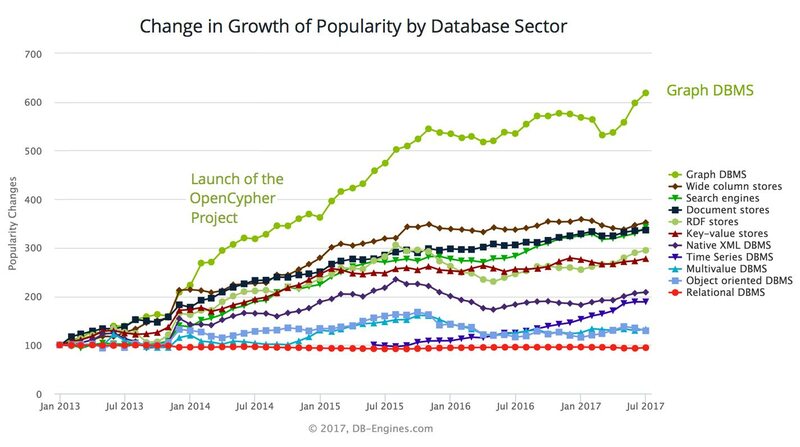 Databases already using the Cypher query language include SAP HANA Graph, Redis, AgensGraph and Neo4j, and other vendors have started Cypher initiatives. In its effort to make the evolution of the Cypher language as open and strong as possible, the Project welcomes suggestions from all interested parties including graph developers, software vendors and organizations of all sizes. A standard graph query language provides a variety of benefits to everyone, including software vendors, CIOs, information architects and developers. Cypher is a straightforward, simple language that builds on human familiarity with visual patterns and relationships—making it well-suited to the challenges of querying connected data. Its declarative approach lets developers focus on their applications and express what data to retrieve—instead of getting lost in the mechanics of data access. And Cypher’s selection as an industry standard builds on its commanding position as the most advanced and widely used graph query language. How is Cypher Specified and Licensed? The openCypher Project is an initiative that specifies and develops actual working code, and is not a theoretical, academic discussion group. A technical language syntax specification as well as a full semantic specification are deliverables of the Project. The resulting Cypher standard is made available for public use under a Creative Commons license. If you’re interested in making the graph revolution everything it can be, you can start by reading and commenting on published openCypher proposals. Or if you have some creative ideas of your own, create a proposal with working code and implementation examples, and share it with other openCypher Project members. Discussions and announcements appear in the openCypher Google Group. Code reviews and discussions happen in the Project’s GitHub repository, where you may submit or comment on Cypher improvement requests. To join openCypher discussions on Slack, request an invitation to sign up and then look for us in the #opencypher channel.